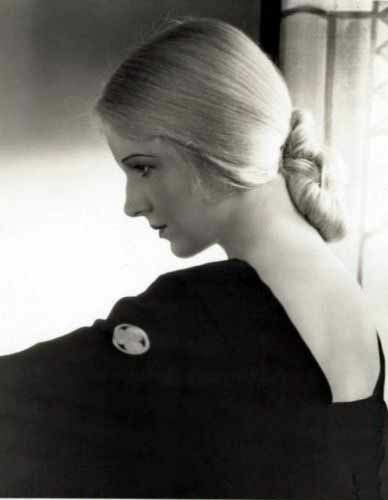 Ann Harding kills me. No, not literally, of course. That’s just my slangy way of noting her effect. I’m left breathless when I watch her. I feel as if she’s reached deep into me, stirred up my heart and lungs, pulled up my guts, and discombobulated my brain. But the effect is more than physical. She twists my very soul, she leaves me weak and shaking, even in tears. That is literal. I might liken it to what people feel after a deep spiritual encounter. As if I’ve died and been reborn to the world, and now see everything anew. I could try to break down and analyze how and why Harding moves me. She’s a mix of opposites: her voice, deep and controlled, yet throbbing with feeling; her cool demeanor that yet burns. In her looks, she’s old-fashioned: long, thick, white-blonde hair (supposedly never cut) worn in a simple twist; pale skin contrasted with dark eyes. It’s the face that of a pre-Raphaelite Madonna—a visage touched with grace, gazing through a darkened glass. But on film she projected a clear, focused passion. Harding never dodges or feints in her expression. She’s never kittenish or cute; and she never withholds or hesitates. She pierces right to the heart of a scene, a feeling, a character; and she invests everything she’s got. She’s more than a performer; she embodies a soul, a great, pure, transparent soul onscreen. Like Lillian Gish, she belies her fragile looks; she’s the most emotionally direct, passionate, truthful actress I’ve seen. Born in 1902 and first starring on Broadway, Harding came to movies at the beginning of the sound era. Her most productive period, when she made her most noteworthy films, was the early 1930s, during what we now call pre-Code. That pure face and shining hair—how could that, in the heyday of the shingle and the bob, be pre-Code? Pre-Code actresses are hard, fast dames like Barbara Stanwyck; or sexual sophisticates like Norma Shearer; or clothes horses like Kay Francis; or seen-it-all wiseacres like Ginger Rogers; and if they’re blonde, they’re Jean Harlow or Mae West, and I needn’t elaborate on that. They’re not saints. But Harding belongs in pre-Code. She didn’t play saints, but she did play characters who knew sin but not shame. Her women were fierce, gutsy, and sexually honest. Look at this scene in 1933’s Double Harness. 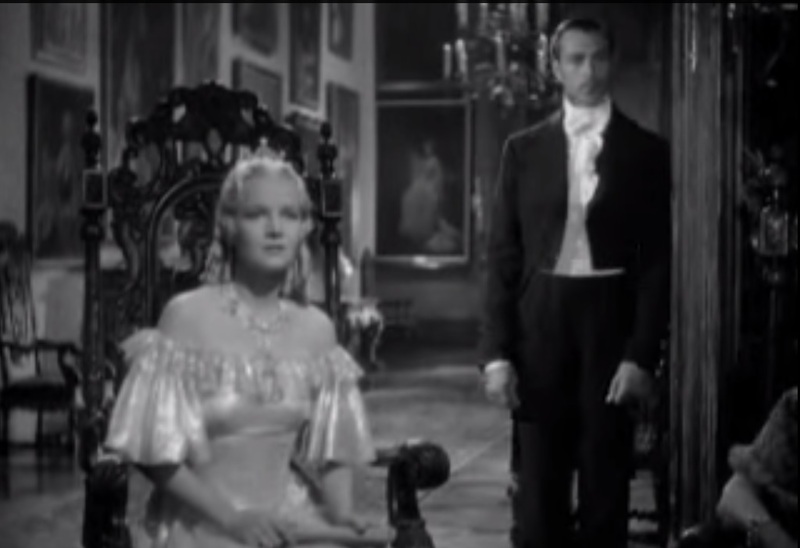 Harding’s character is a sophisticated yet chaste woman, out to snag rake William Powell. She takes what she thinks is a hard, practical approach, but the situation gets out of hand. When Powell kisses her, she experiences, maybe for the first time, sexual desire. Turning away, her face, her eyes, bleed emotion; she’s overwhelmed by what she’s feeling. Harding doesn’t play oppositional conventions; it’s not Ah Sweet Mystery of Life versus A Thousand Times No. She’s clearly experiencing fear, the kind when your stomach seems to drop and leaves a gap in your body. She’s about to surrender her virginity to this man (to whom she’s not married), and she’s no idea what to do, how to react. It’s a moment within herself, her decision to make (Powell, ever the gentleman, waits), and Harding shows it full-frontal, as it were, no holding back. She doesn’t play it for the smirk but goes right to the heart, toward that difficult edge before choosing the irreversible step, and she makes it simple, true, and poignant. Why isn’t Ann Harding better known? Her acting, inner-focused and lacking artifice, is praised for its modern feel. David Shipman notes that Harding “[i]n as series of heavy-breathing melodramas…played without histrionics, too soon taken for granted.” Her biographer, Scott O’Brien, speaks of her “unusual depth as an actress”; Mick LaSalle said of her technique that there’s “[n]o stylization, no attitude, no posing. In fact, little about her technique could date her as a thirties actress.” Moira Finnie calls her acting “surprisingly modern” and says she is a “transitional figure” in film. And Harding, although theater-trained, seems made for the close-up. She sustains its prolonged scrutiny, she conveys, so beautifully and simply, the moment-by-moment inner life. In the 1930 version of Holiday, Harding’s Linda confronts her father about the stultifying conventions of her home and he’s angered by that. “Why don’t you go away,” he barks. Watch Harding’s face as she reacts: She recoils, her gaze breaks, her eyes almost dissolve in pain—then she recovers and stares back. It takes about about two seconds of screen time, but Shipman’s dead right. No histrionics here, no trembling lips, flashing eyes, or glycerine tears. You understand not only Linda’s feelings but her character in a capsule: she’s a rebel but also an aristocrat. Hysteria would not become her. Maybe it’s Harding’s restraint that keeps audiences from going mad over her. She rarely plays to the top balcony. I take nothing away from great stars like Norma Shearer, Joan Crawford, or Bette Davis in noting that they weren’t afraid to smash through subtlety and give it to us Big. Harding didn’t go that route. She’s low-key, reserved, a bit formal. And she’s earnest in a way that can make her seem affected. In watching a film like Philip Barry’s The Animal Kingdom (1932), 21st-century audiences would probably prefer Harding’s co-star, Myrna Loy. And it’s really Loy’s film. She has the best role, and she’s terrific as a conniving seductress with a sense of humor. Loy does it in layers, the louche lady impersonating a nice girl, and she’s light and funny, twinkling with mischief and tossing her lines like a gossamer veil over a slim shoulder. Harding is the actual good girl (Barry tends to divide his characters that way) whose rigorous set of values makes me relieved whenever Loy appears. I can’t blame Harding for the play’s schematic view of human behavior, but I suspect Loy’s deliciously bad character comes across as more attractive today. But Harding as an actress doesn’t weasel out of the play’s schema; she’s so heartfelt in her line readings that she seems self-purged of its dross. Gravity was part of Harding’s style. She’s measured and serious, and yet otherworldly in the way that extremely serious people can be. In the 1935 version of Enchanted April, she’s so ethereal she’s seems not to touch the ground. Her performance might not be to everyone’s taste, but I adore it. Her voice and body vibrate like a plucked harp string, as if she’s breathed in pure oxygen and has gone high on it. If Harding’s acting is modern, it’s modern in the Romantic sense. It relies on pure, profound, intuitive feeling. She’s modern in the way that a classically trained dancer like Anna Pavlova is modern: the technique serves the emotion; it’s not there to impress the viewer but to free the instrument, to bring out the essence. If the result might be off-putting, it’s because there’s no compromise behind the intent. It’s always sincere, always pure. And if I frequently use the word “pure” to describe Harding, it’s because that’s how powerful her effect is on me. She goes right to my core. I would guess another reason Harding is not well known is that many of her films are not available. They’re not shown in revival and only a few are on home video; several that are (The Animal Kingdom, Eyes in the Night), are public domain, in poor prints on YouTube or bargain-bin DVDs. 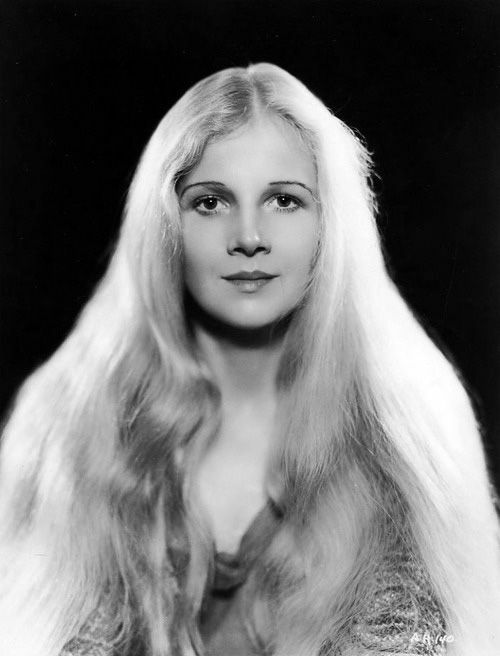 Has TCM presented an Ann Harding Star-of-the-Month series or an Ann Harding Day during Summer under the Stars? Or even an Ann Harding Birthday morning? If not, is it too much to ask for? And with the renewed interest in the pre-Code era, why not a dedicated best-of-Ann DVD set of her significant films like The Life of Vergie Winters or When Ladies Meet (1933), which don’t seem available for love or money? The latter half of Harding’s career is more generously represented on DVD, films such as Mission to Moscow, The Magnificent Yankee, Two Weeks with Love, and The Man in the Gray Flannel Suit. By the late 1930s Harding was, per Shipman, “dead” in Hollywood; those trite, synthetic melodramas, against whose plush sets her face gleamed like a pale, ardent flame, poisoned her at the box office. She (re)married and briefly retired; on returning to films in the 1940s-50s, she played matrons and mothers. (When I mentioned Ann Harding’s name to my mother, she thought I was talking about two actresses.) I can understand why female stars resist onscreen maturity. Middle-aged maternity gives you little to do. You’re either a saint or a harpy, trying to find variations on the formula (not something that gets you remembered). But Harding has some good later stuff. She can play comedy, smartly and sharply, as in It Happened on Fifth Avenue. (Her rueful expression, listening to Victor Moore unknowingly criticize her extravagance, is a gem.) 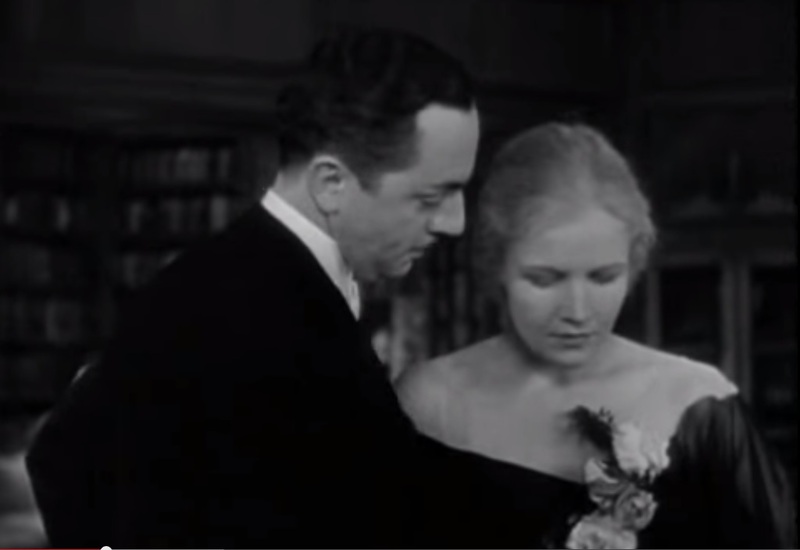 Watching her as a society wife in The Unknown Man, you can see, even in this minor crime drama, why Harding seems so refreshing and, yes, modern: she’s clean, unfussy, natural, a contrast to co-star Walter Pidgeon’s stodgy dithering. I’ve seen Pidgeon’s performance a hundred times; but Harding’s is brand new. At least my own two favorite performances, 1937’s Love from a Stranger and 1935’s Peter Ibbetson, are available. Love from a Stranger, unfortunately, is in that public domain fog, its wretched, blurry prints apparently having been soaked in water. I know it’s expensive, but can’t a restoration be done? The film has marvelous performances from both Harding and Basil Rathbone (it’s also got a score by Benjamin Britten, for pete’s sake; surely that’s reason enough?). The story’s about a not-so-young woman (Harding) who wins a stupendous amount of money on a lottery ticket; along comes a spider in the form of a charming psychopath (Rathbone) out for her millions. 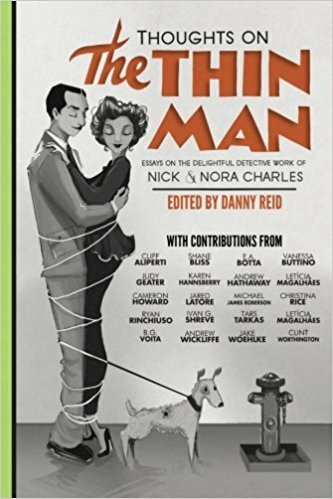 The woman ditches her stuffy fiancé and marries the bounder, only to realize he’s planning to murder her. Yes, the plot creaks, but Harding and Rathbone go at it like a power play on a see-saw, battling for the upper hand. The kicker is the final scene, a dinner from hell in which Harding must outwit Rathbone, who’s locked all the doors and has scheduled the killing for 9’o’clock. While Rathbone hams it up, bulging his eyes and vocal chords, Harding underplays, lowering her voice to a soft, furry timbre, as if a wool blanket were endowed with speech. By temperament, Harding wasn’t a bravura performer in the Bette Davis mode. You don’t wait for her to hit the high notes. It’s more like listening to a great lieder singer, one sensitive to the flowing nuance of words and rhythm. In Love from a Stranger, her face when she learns she has the winning ticket moves and quickens in tiny calibrations—her mouth slackens, bit by bit, before she snaps it shut as if on a fishhook, as the enormity of her fortune sinks in. In the dinner scene she conveys her terror in hills and valleys: her eyes and mouth stretch to their limits, and then collapse, go dull, as if the nerves were cut. 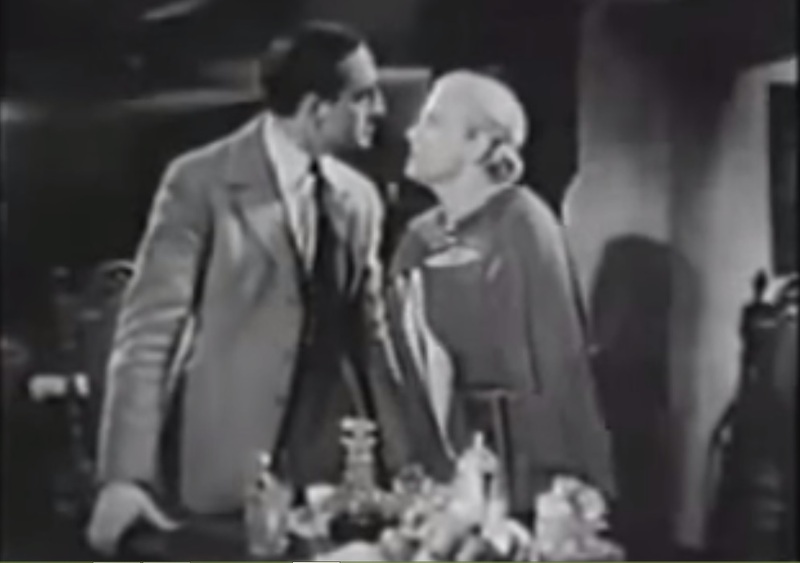 But then she does pull out a bravura bit: she leaps at Rathbone like a flying fist and snarls that she’s poisoned him. It’s a wow. No matter how many times I’ve seen it, I still get a jolt when I watch. It’s like being suddenly clawed by a cat; you never quite get used to it. Yet if I had to choose one film to convert movie-goers into Ann Harding fanatics, that would be Peter Ibbetson. Harding doesn’t appear until a good half hour into the plot, but she’s indelible; it’s her film. Based on a George du Maurier novel, the movie concerns two lovers who can meet each other only in their dreams. The story is odd, mystical stuff, which could easily descend into sentimentality or camp. What makes it work are Henry Hathaway’s direction and the acting of its leads (plus a lovely score credited to Ernst Toch). 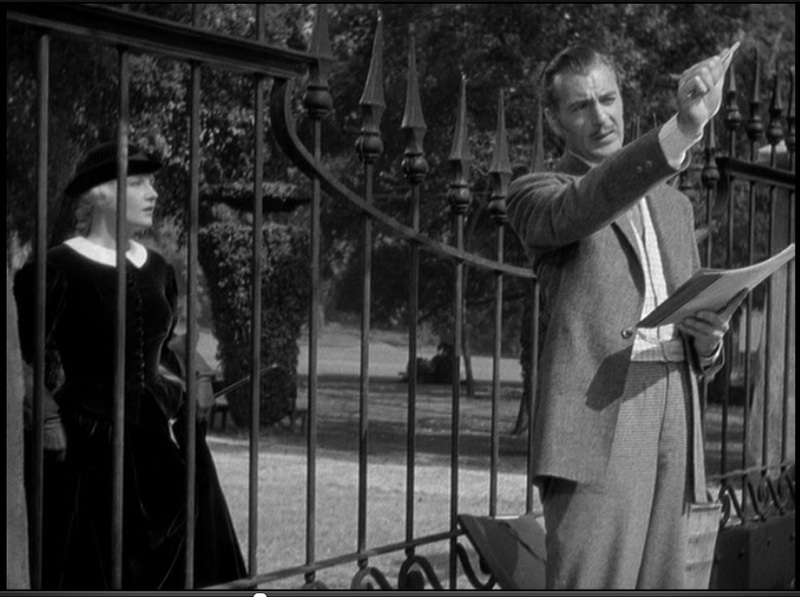 Hathaway’s staging—using barriers to strand characters on either side the frame, or placing actors on different planes to separate them in a shot—evokes a deep, ingrained loneliness. The title character, beautifully played by Gary Cooper, was sent as a boy to live with distant relatives, losing contact with his childhood friend Mary, the one love of his life. Ever since he’s lived in emotional solitude, trapped in his remembrance of her. Cooper’s eyes have a strained, sick longing in them, as if, by staring hard enough, he can look past the mundane world and recreate Mary’s image in the flesh. As good as Cooper is, it’s Harding’s performance that makes the film. For me, it’s her greatest, the one that captures most perfectly her transparency, her fluidity, like water, to evoke swift, delicate shifts of feeling. As the adult Mary, Harding brings out a pure, febrile intensity; so attuned is she to her character, she seem to have slipped into her skin. “You must believe,” Mary tells Peter, urging him to have faith in the power of their dreaming, and Harding’s voice throbs with such passion, it seems to burn through the screen, right through that flat barrier dividing her shadow from our substance. The actress’s strength of belief transports this will o’ the wisp tale into something indescribably moving, as if, through the concentration of feeling, she can reach a deeper reality. I can never watch her in this film without tears. Even the recollection of her performance summons them to my eyes. 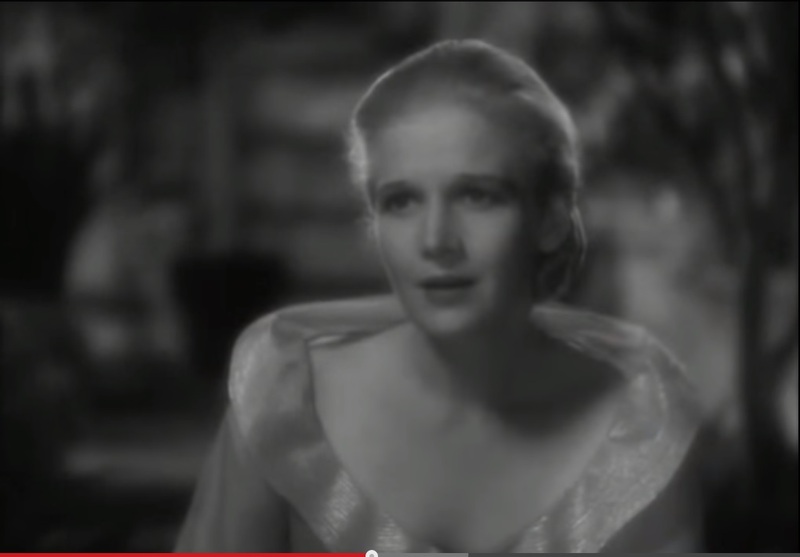 If I haven’t persuaded you to run out immediately and see as much of Ann Harding as possible, well, I blame myself. 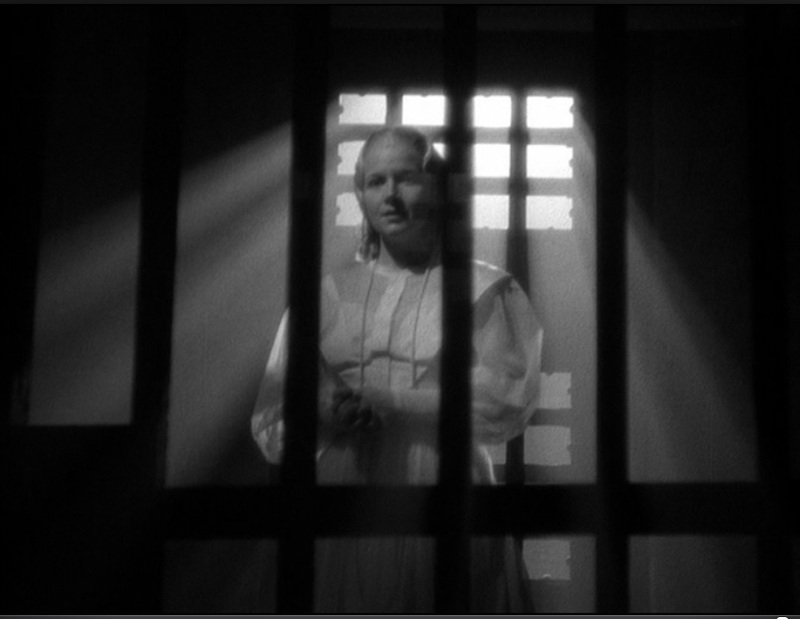 Ann Harding should be experienced, not read about; my poor prose can’t conjure her spell as much as she, on screen, etched in faint silver traces, can. I can’t think of another actress like her. Maybe Celia Johnson, in the way she evokes emotion, as if it courses through her blood, as if her very bones, skin, even hair, breathe it. Yet there’s no one who quite matches Ann’s delicacy, the sense that she comes from a vanished world of feeling—albeit embodied, by her, in modern form. In a way, that’s literal. Harding was a product of a cinematic era that wasn’t ashamed to let its audiences weep. That’s gone and won’t return. But in watching Ann, in her evanescent, soulful beauty, I feel that something of that time does live again. This post is part of the Classic Movie Blog Association’s Forgotten Stars Blogathon, Oct.27-31, 2014. Please click here to read other great posts on Hollywood stars who deserve to be remembered.